← DIY – Costanzo Style! Glasgow – A City of Culture (sometimes;))! Now that the concert season has started up again in the Glasgow Royal Concert Hall, we are starting to see our regulars who pop in for a quick bite and a glass of wine before or after (or before and after!) the concert. We are so close to the Concert Hall which makes it ideal for those customers who want to enjoy their food without having to rush off. They do a wide variety of concerts at that venue and at the moment it is the Classical season with various orchestras and operas to keep the cultured folks happy. We are never able to see any though since we are always in the Caprese but our customers keep us up to speed with who is performing. Costanzo always likes to have a joke with people who come in before the concerts of the “ageing stars” telling them he thought they were dead and that they better rush up before they pass away! Saturday night was nice and busy (just how we like it) with a lot of people coming in before the Royal Scottish National Orchestra performance. We had a nice young gentleman in with his wife and young daughter which caused a bit of excitement amongst our “knowledgeable” customers as he was the Conductor of the RSNO who had popped in for dinner before his performance. They informed us that Stephane Deneve is a highly talented Conductor with quite a reputation but sadly we were none the wiser as we don’t get out much! 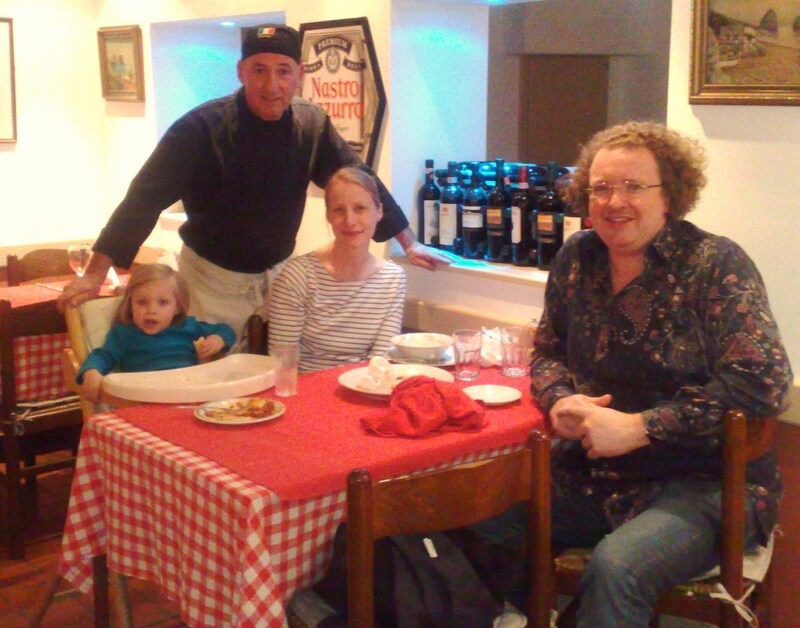 Lovely family though and we think his daughter showed great aptitude using her fork as a baton judging by the amount of pasta we found on the wall after they left, a future maestro in our midst, bravo! We have a busy week ahead of us and Costanzo has been cooking up a storm in the kitchen today. He has prepared some fantastic Stuffed Peppers which will be on our specials menu and there is talk of a Parmigiana di Melanzane some time this week, can’t wait! I will have my camera at the ready for some mouth-watering photos this week for sure! So, stay tuned, there are more delicious dishes on the way over the next few days!